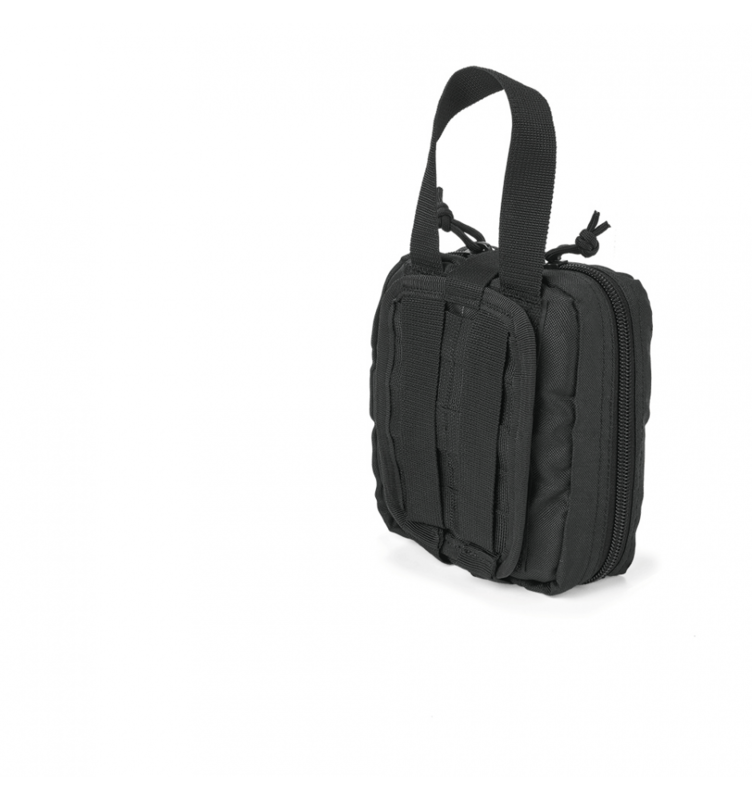 The individual medical pouch ZA-02 Black is a tactical accessory from the assortment of the Ukrainian manufacturer VELMET, in which three features of modern army equipment are successfully combined - compactness, functionality, minimum weight. 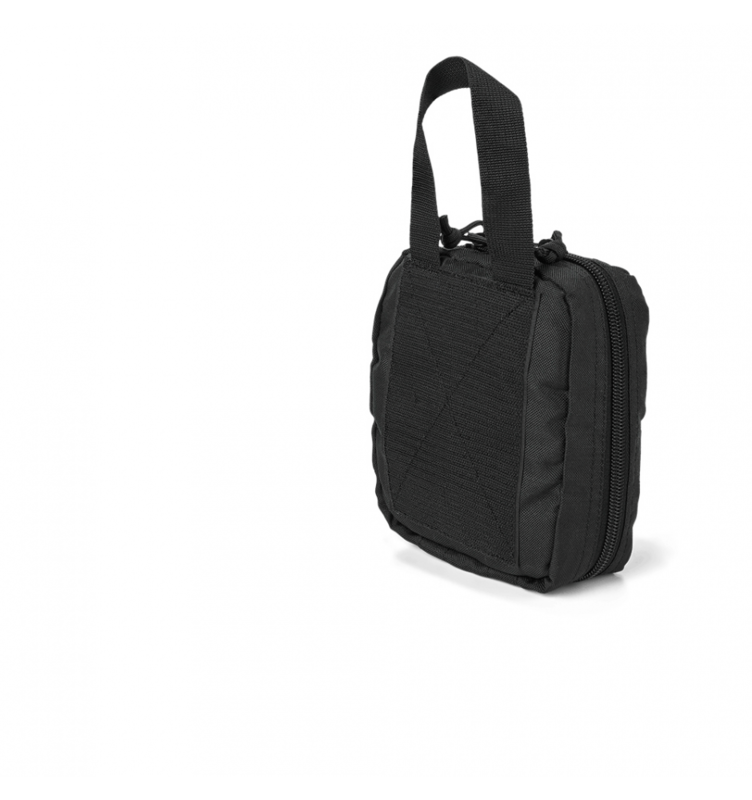 To buy the individual medical pouch ZA-02 - an excellent opportunity to get a quality accessory at an affordable price! 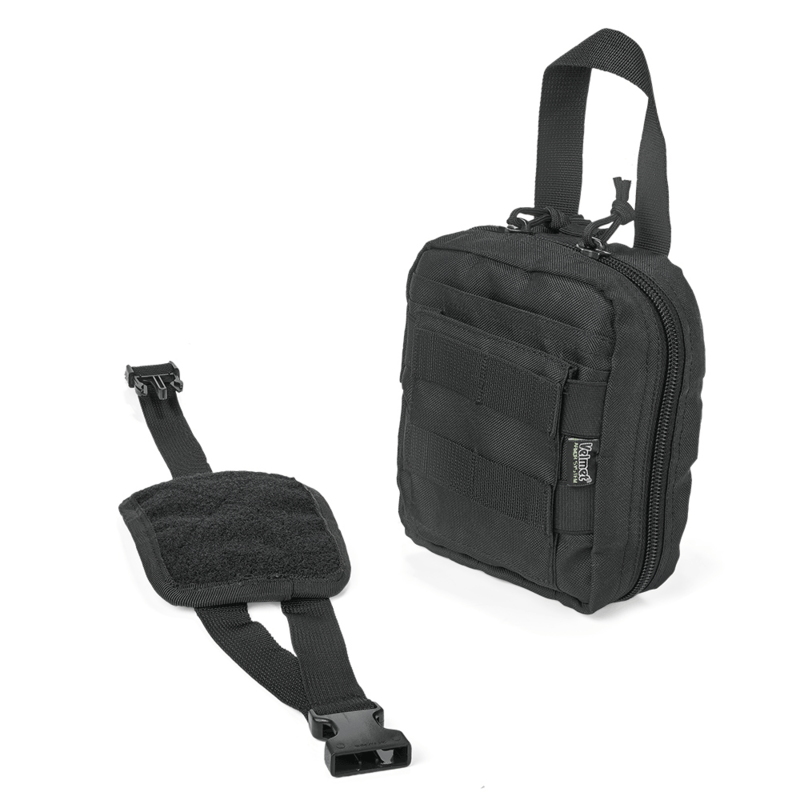 To the removable panel, the medical pouch is fixed using a textile fastener. To ensure the most reliable connection in the product, an additional compression tape with "FASTEX" is provided. In the internal department and on the outside there are a sufficient number of pockets, cells for placing the components of the individual kit for first aid. 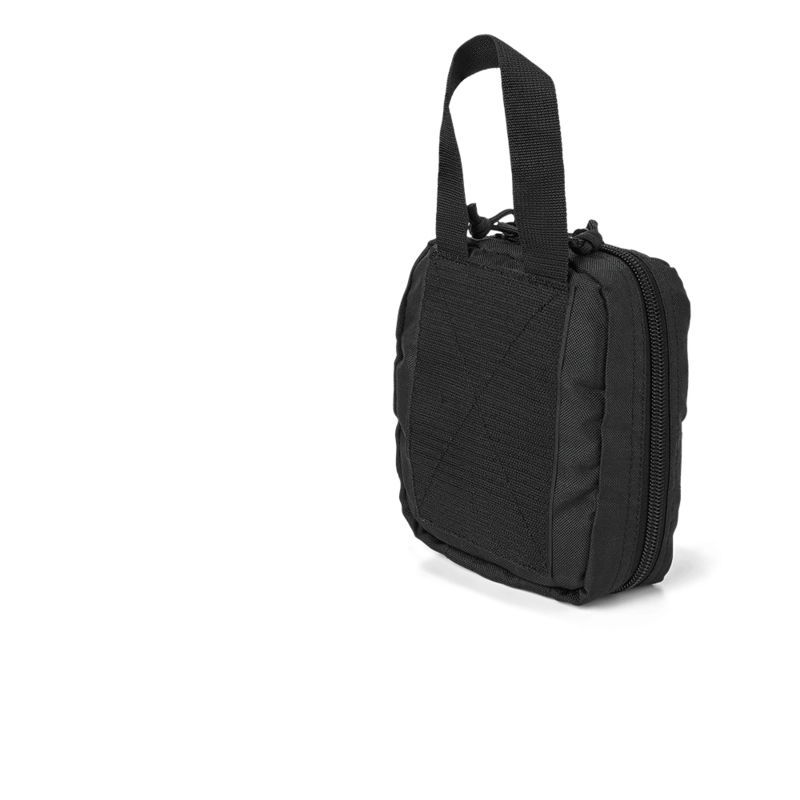 The ability to disconnect the pouch from the panel in one movement ensures convenient access to medicines and accessories. 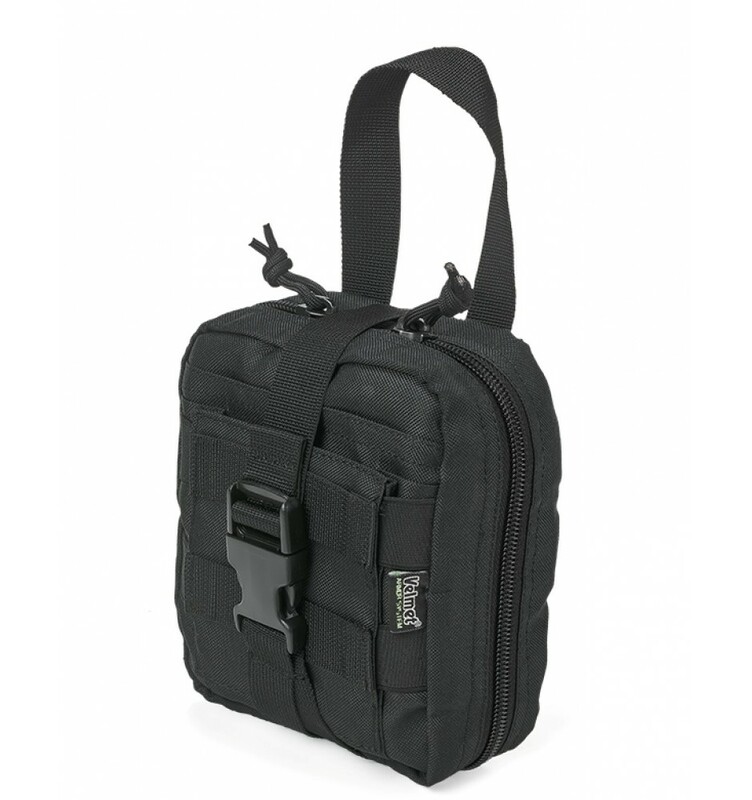 • Removable panel with MOLLE system, additional clips. 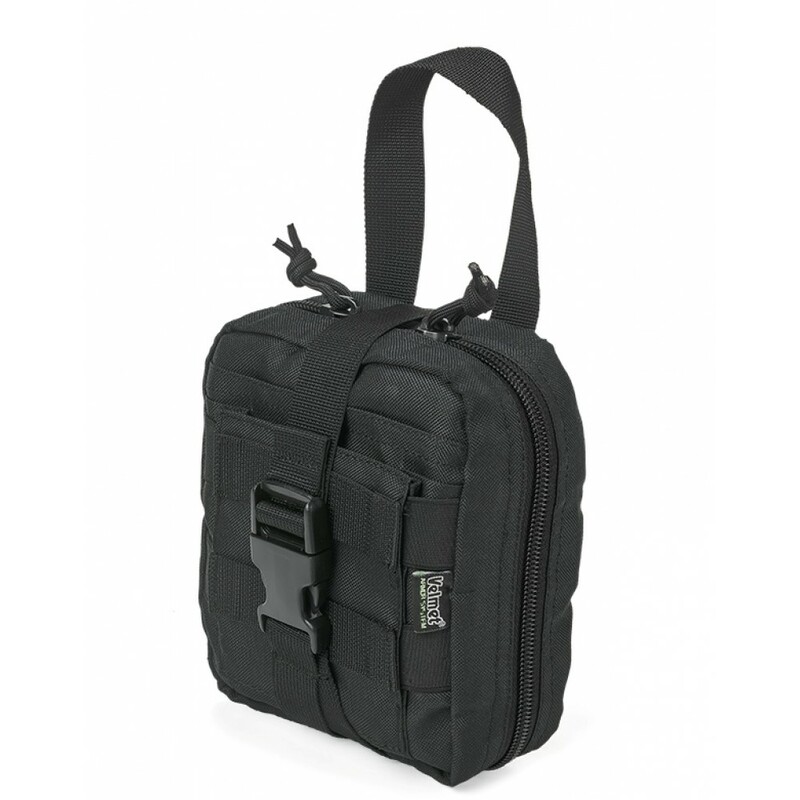 • Textile fastener, compression tape with a buckle of the "fastex" type for fastening the pouch to the removable panel. • Internal tape for quick opening of medical pouche. • 2 rows of MOLLE system cells in the upper outer pocket. • 2 pockets on the front panel, tightened by elastic bands. 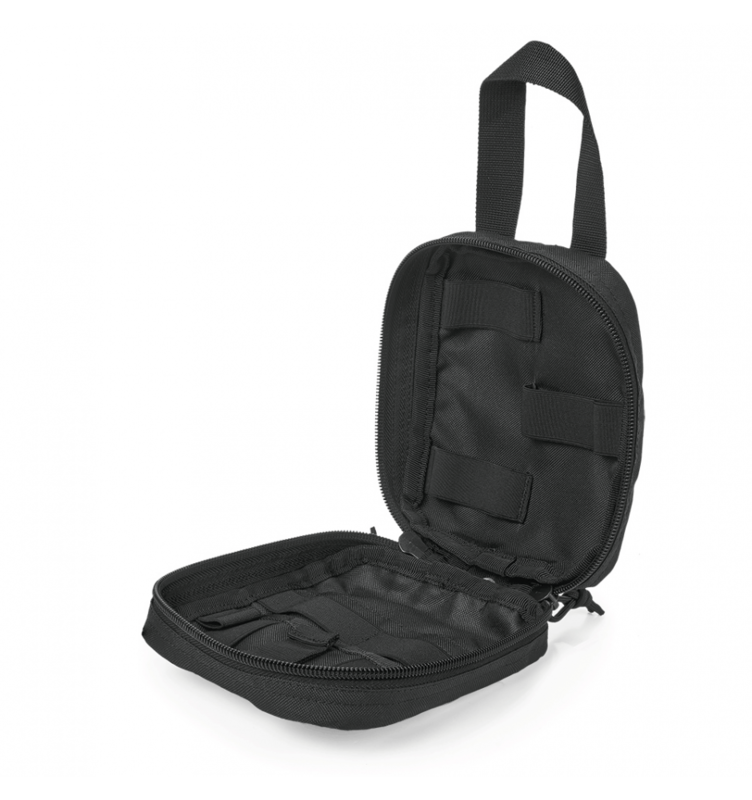 • 2 internal pockets of open type (depth of the top - 7 cm, bottom - 12 cm), equipped with 4 flexible cells (each width - 6 cm). • 3 medium-sized elastic cells (8 cm long) for placing a bandage, hemostatic tampon, etc., inside the medical pouch. • 3 small elastic cells (tape length - 5 cm) for fixation of the nasal tube, syringe tube, etc. • Materials - wear-resistant nylon 500D; accessories (manufacturers -2М, Italy, Alpha Technology, Poland); textile fasteners Velcro (manufacturer - Alfatex, Belgium). • Material handling - IRR (makes tactical equipment invisible in the IR spectrum); DWR - performs oil and moisture repellent function. 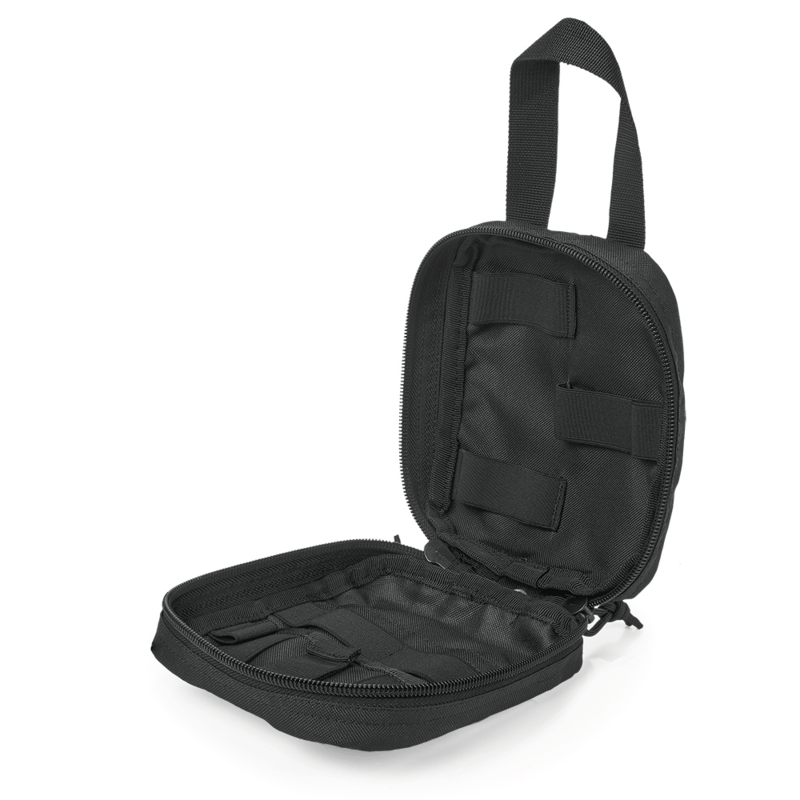 • Provided holder for attachment to the main tactical equipment (bag, backpack). • In the lower part there is a drainage port for moisture removal (metal eyelet). • Linear dimensions of the product (H / W / T), cm - 18 x 14 x 9. • Weight, g - 240.